Amatrol’s PLC Troubleshooting Learning System-Siemens S7312 (890-S7312B) adds to the Programmable Controller Troubleshooting Workstation (890-PECB) to teach troubleshooting, programming, and applications of the Siemens S7 PLC. 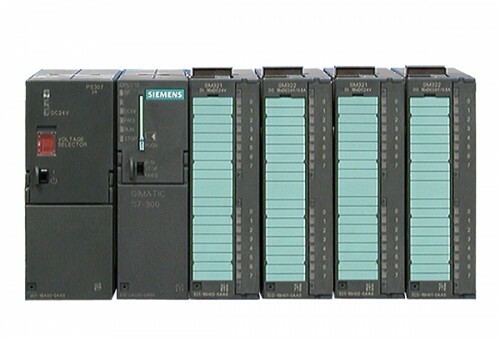 The Siemens PLC training system includes: PLC, communications cable, I/O connector kit, fault insertion engineering and connector kit, student curriculum for both theory and lab, and teacher’s assessment guide. The Siemens PLC training system module easily mounts to the 890-PECB workstation and includes cables to ensure full compatibility. The fault kit includes I/O cables for connection of the PLC to the I/O on the 890-PECB. Amatrol’s factory-installed integration package creates faults specific to the S7 PLC. This fault package is fully compatible with FaultPro, Amatrol’s exclusive computer-based fault insertion software supplied with the 890-PECB.